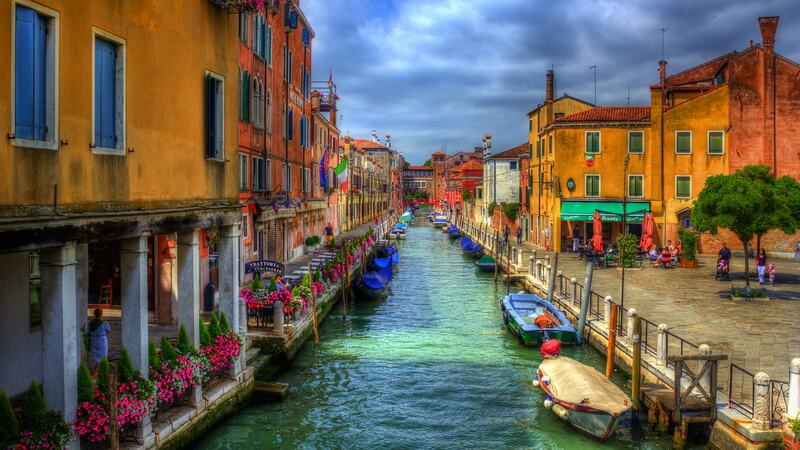 Venice wallpapers for your PC, Android Device, Iphone or Tablet PC. 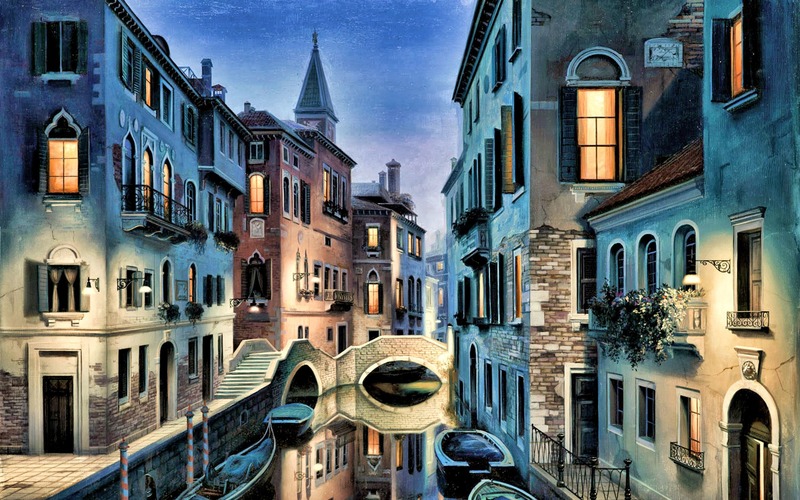 If you want to download Venice High Quality wallpapers for your desktop, please download this wallpapers above and click «set as desktop background». You can share this wallpaper in social networks, we will be very grateful to you. 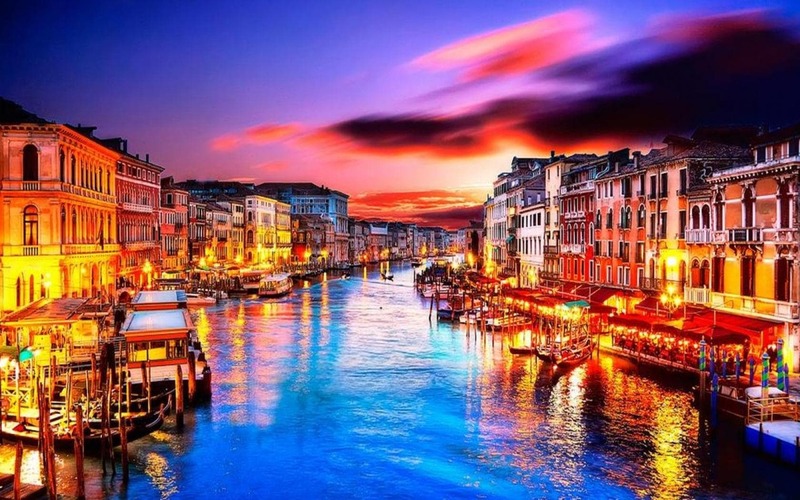 The region’s capital – Venice built in the lagoon of the same name by 122 islands (according to other sources – 118), connected by 400 bridges. This is a real city monument, founded approximately in V. BC. e., where absolutely any building can claim to be historical. 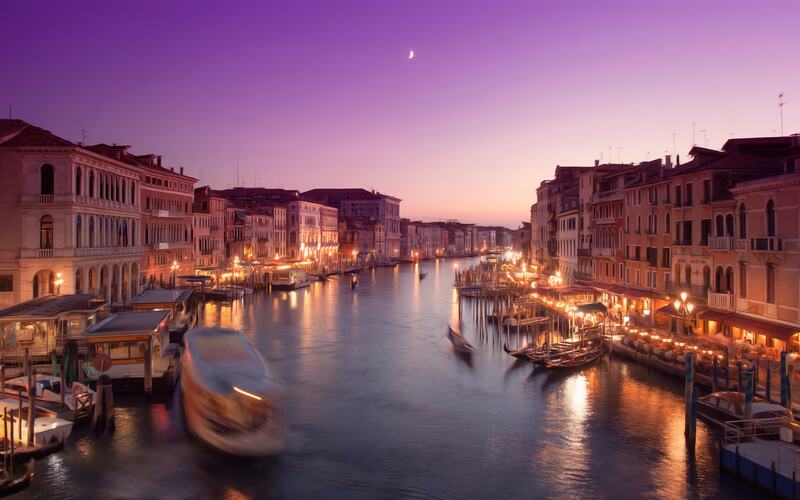 It is not surprising that all of the old part of Venice and its lagoon is included in the UNESCO World Heritage List. 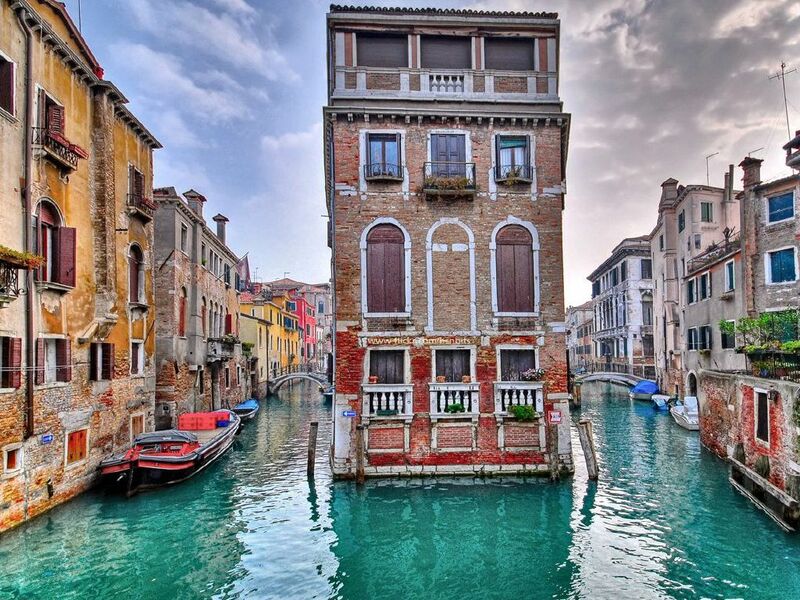 Most of Venetian streets-channels are so narrow that the wall opposite the houses can easily stretch his arms, while the buildings themselves reach a height of 7 floors. Beaches have virtually no channels – stately homes “grow” out of the water. 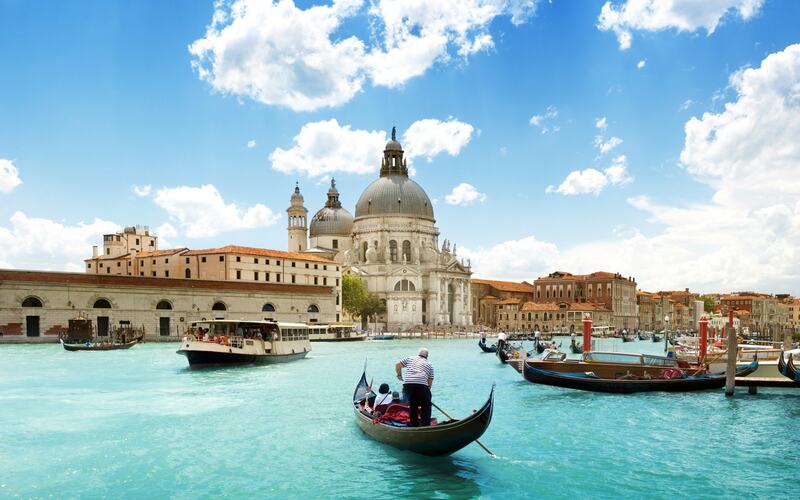 One of the main attractions of the city – the Grand Canal (Canal Grande, once it was a river bed), passing through the city and having a length of about 4 km and a width up to 70 meters. 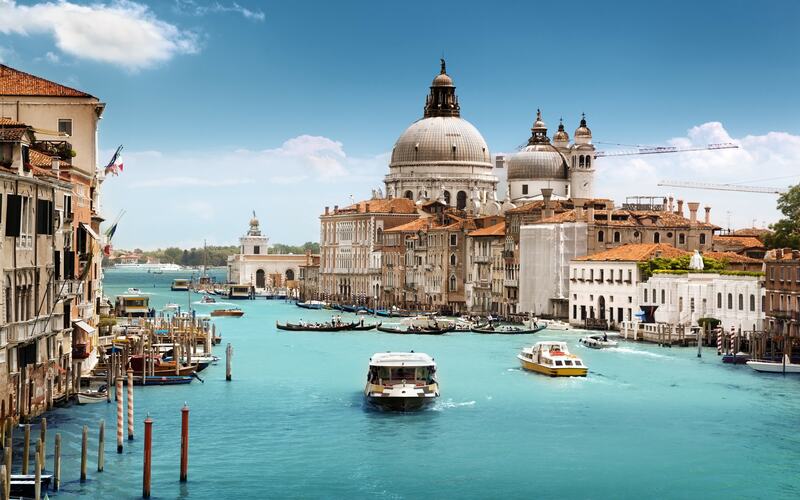 Grand Canal leads to the central Piazza Venezia – Piazza San Marco, on which the Cathedral Basilica di San Marco (XI c.), Its bell tower (the tallest building in Venice – 99 m) and the famous palace of Palazzo Ducale ( Ducal Palace, XIV-XV centuries. ), which form the main city’s skyline. Around Piazza San Marco focused a tremendous amount of historical monuments – Tower Orolodzho (XV c.) With the clock, the famous Rialto (Golden Bridge, 1588-1591 gg. 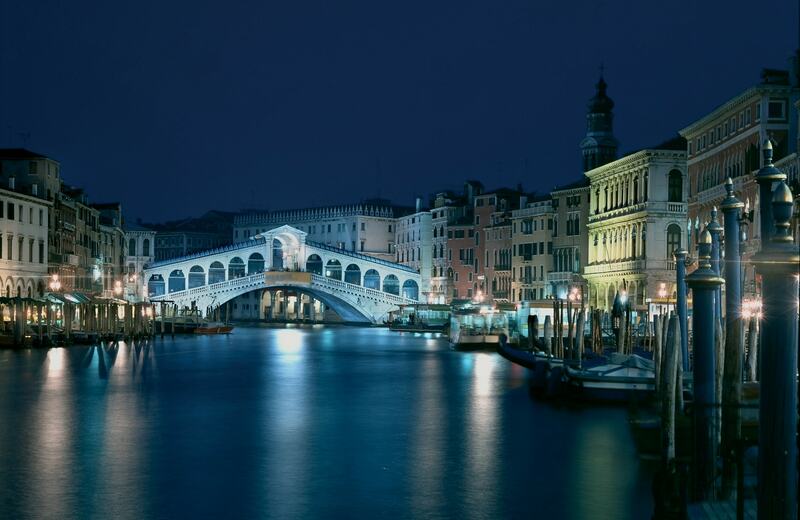 ), The Ponte dei Sospiri (Bridge of Sighs – an integral part of the Doge’s Palace, XVII in . ), the building of the Old and New Procuratie (XV-XVII centuries. ), Ala-Napoleonic Wars (1810), Campanile bell tower (IX-XVI centuries. ), the palace veneers de Leoni, St. Mark’s library (Sansovino, XVI c.) to the Archaeological museum and the mint Dzekka (now it is the reading room of the library). Also nearby you can find numerous palaces of the Venetian nobility (XI-XVIII centuries., Are concentrated mostly along the Grand Canal), the Royal Gardens, Cathedral of Santa Maria della Salute (1630) and the Scuola Grande dei Carmini with magnificent frescoes, the church of San Giorgio Maggiore on the eponymous island, which lies almost opposite the Piazza San Marco, the Basilica of the Frari, Ca d’Oro Palace (. 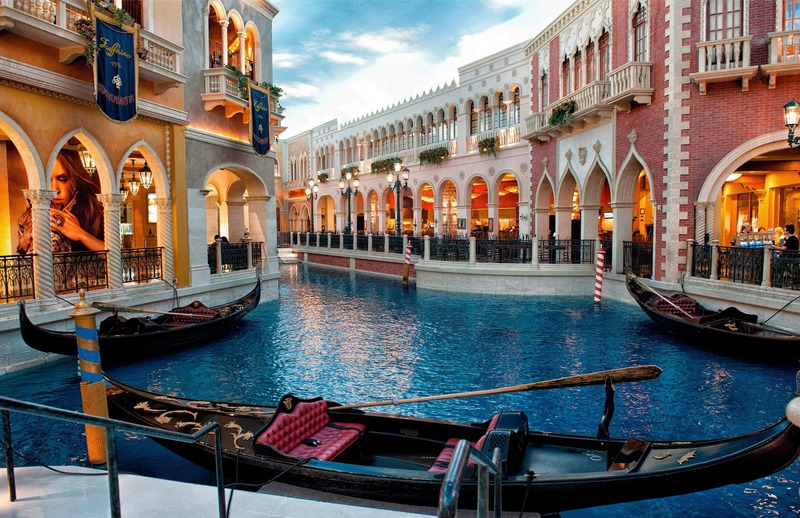 XV in, now here is the famous gallery Franchetti – the second most important in the city), Abbey Misericordia , La Fenice Theatre (1792) and the famous shopping street, Mercerie. 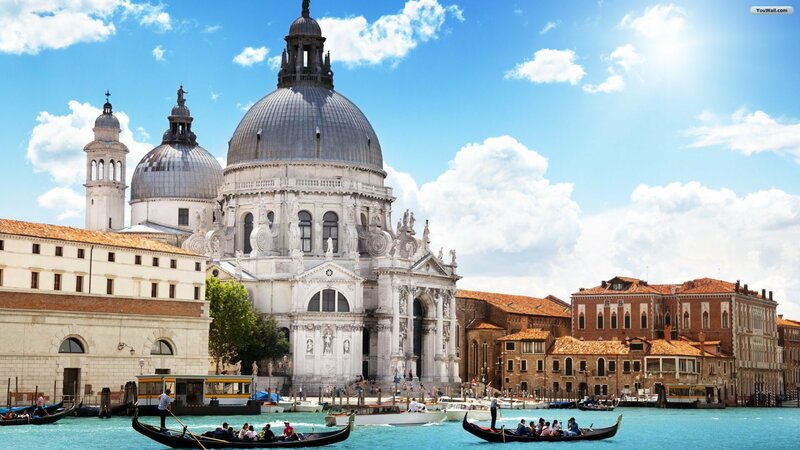 In the district of Castello (the largest historic district in Venice, which lies in the eastern part of the city) is worth seeing the church of San Pietro di Castello (VIII-XVI centuries. ), San Dzakkariya (IX-XV centuries.) And Santa Maria dei -Mirakoli (XV c.), a huge complex of Arsenal, gardens Giardini-Delia-Biennale (1810), the Basilica of Santi Giovanni e Paolo (1430) to the tombs of noble citizens, Scuola Grande of San Marco ( 1260-1485 gg.) and the Scuola di San Giorgio degli Schiavoni (XVI century.). In the district of San Polo noteworthy Church of Santa Maria Gloriosa dei Frari (1469) with the second highest bell tower in Venice, the famous Scuola San Rocco (1515-1560 gg.) With paintings by Tintoretto, as well as a nearby church San Rocco. 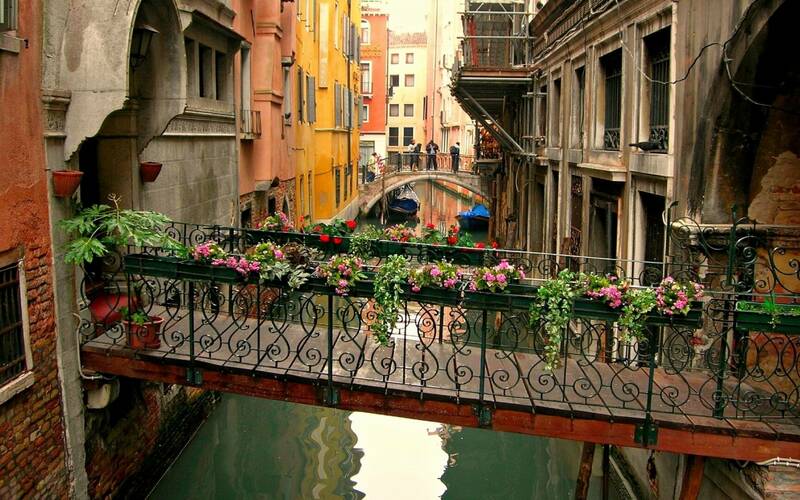 To the north of the railway station you can walk through the narrow streets of the former Venetian Ghetto. In many of the old palaces are now museums, including such well-known as a collection of the Guggenheim Peggy (the largest collection of contemporary art in Italy), the Museum of Venice, Naval Museum (models of ships and advanced weapons), Accademia Gallery, City Museum Correr ( historical and art collections on two floors of the New Procuratie), the International gallery of modern art and Santa Croce Museum of contemporary art at the palace Ca’Pesaro (1710) on the Grand canal, and the Museum of natural history Fondaco dei Turchi. Other old houses brought to hotels and various administrative agencies, so for the most part are also well preserved. 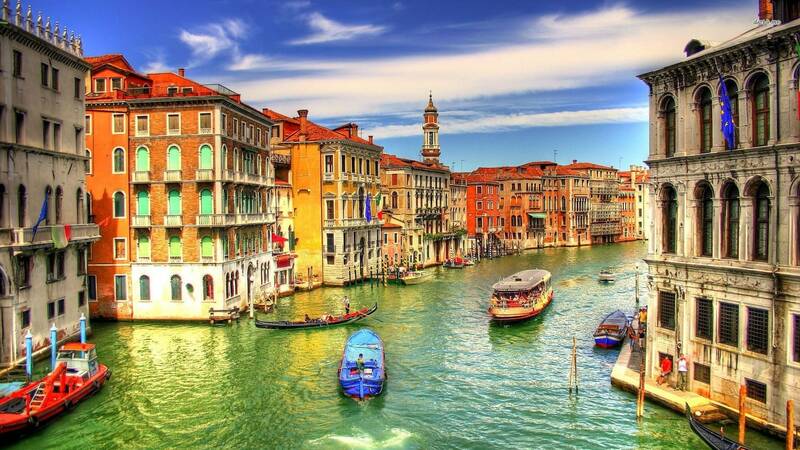 Venice is surrounded by about two dozen islands, each of which has its own history and its monuments. At located 2 km north of the island of Murano, where the XIII century made unique glass products, there are workshops of traditional local fishing (in the Middle Ages, Murano glassmakers were enormous privileges and exemptions, and now it is a closed caste, all of whose members are subject to rigorous professional selection). 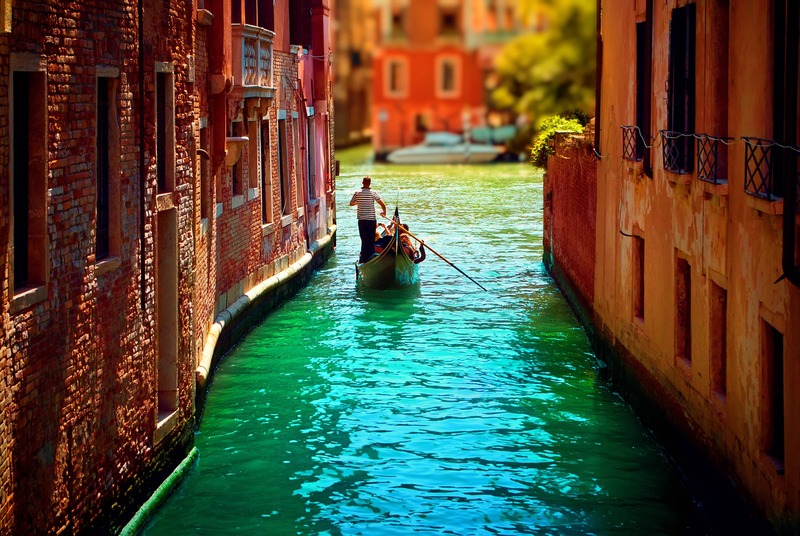 The sights of the island are the Murano Glass Museum, Cathedral of Santa Maria e Donato (XII century. 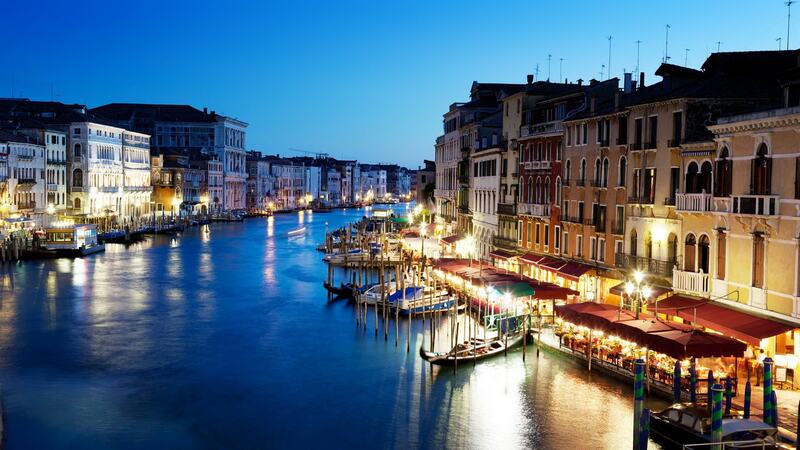 ), The Church of San Pietro Martire and, of course, numerous shops and exhibition of Venetian glass. 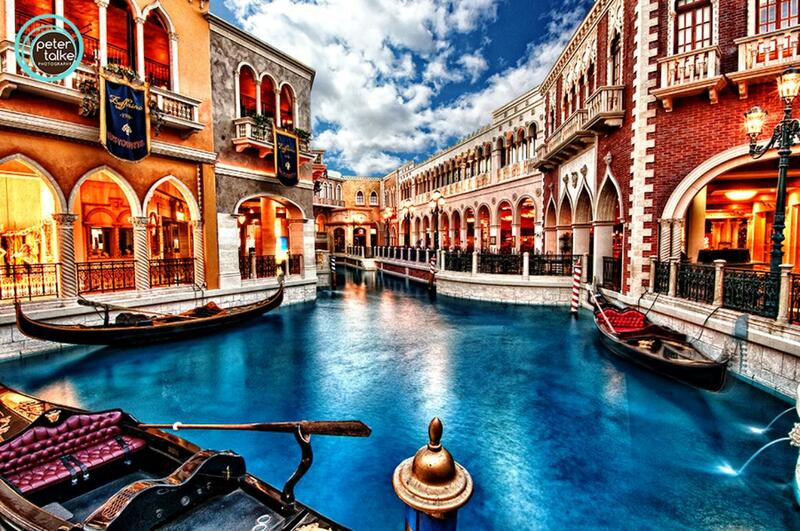 The resort island of Lido has a nice sandy beach, and one of a kind casino, in which you can get only by water. 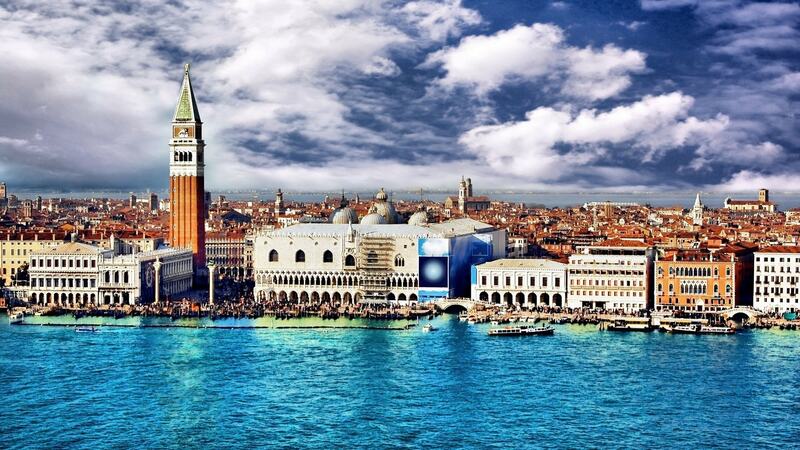 The small island of San Giorgio famous Cathedral of the Benedictine monastery of San Giorgio Maggiore (1566-1610 gg. 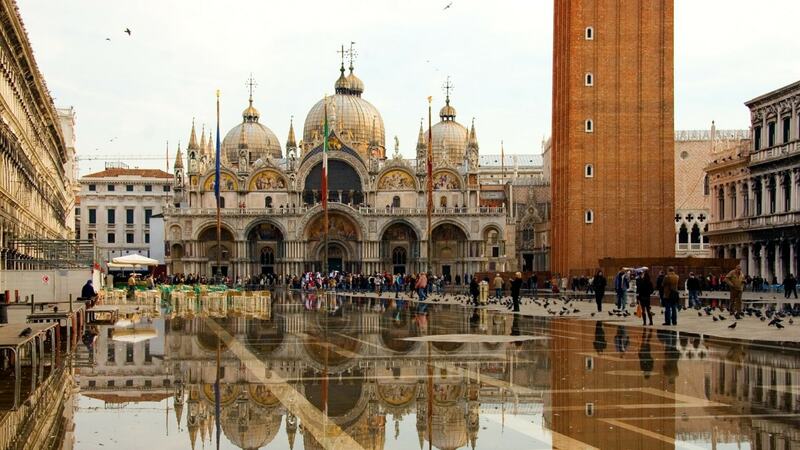 ), Visually closing ensemble Piazza San Marco from the south. Burano is famous for its pastoral landscapes and embroidery artisans, San Francesco del Deserto – Franciscan monastery (XIV and XV. ), San Lazzaro degli Armeni – convent with the printing press, which printed precious editions for centuries, and library (more than 30 thousand ancient volumes, including 4000 thumbnails immense value), and on the island of Giudecca interesting church Ile Redentore (1576-1592 gg.). 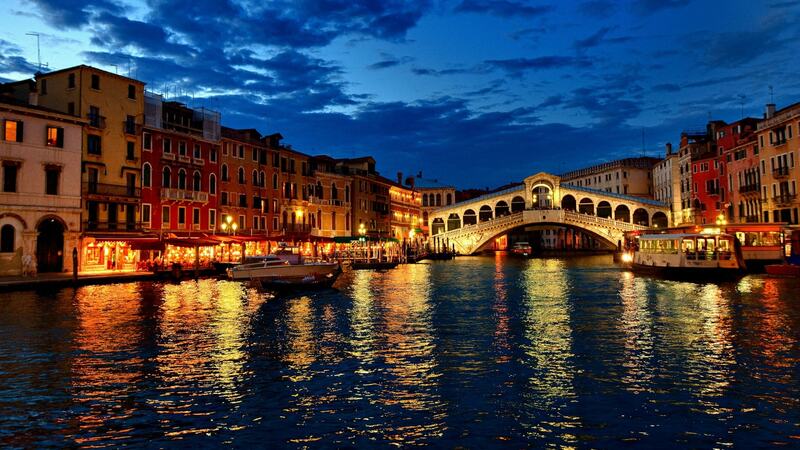 To the west of the city begins the popular recreation area of the sea – the Riviera del Brenta. 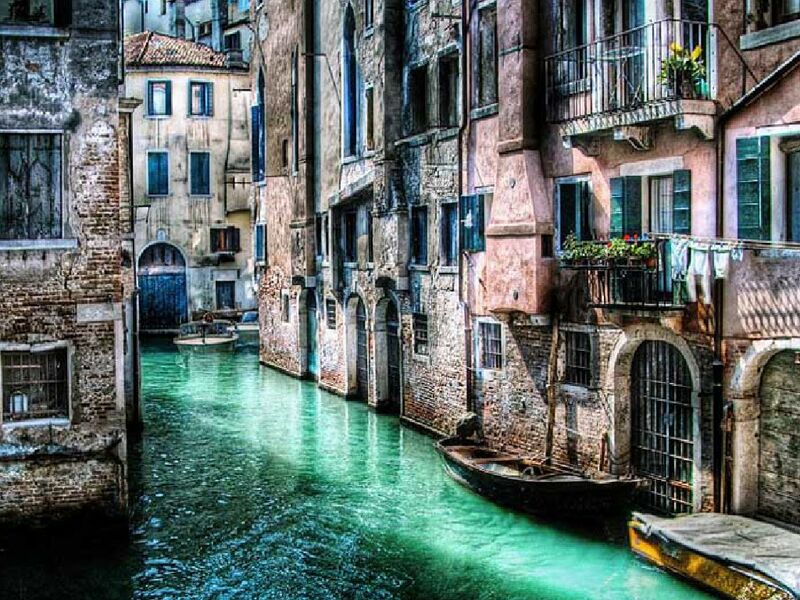 The area of sandy beaches and green parks like repeats ancient river channel, once connecting Padua and Venice. In the XVI-XVIII centuries, the Riviera del Brenta experienced a real golden age turned into a privileged holiday resort for rich Venetian nobles who built a lot of houses on the banks of rivers and lagoons. Many of these mini-palaces are true works of art, as built and decorated by the best artists of his time. So now masterpieces such as Villa Foscari (Malcontenta) Soranzo (Fiesso) Morosini (world), Sagredo (Vigonovo), Widmann (Mira Porte), Pisani (Stra) and others, have attracted considerable attention. 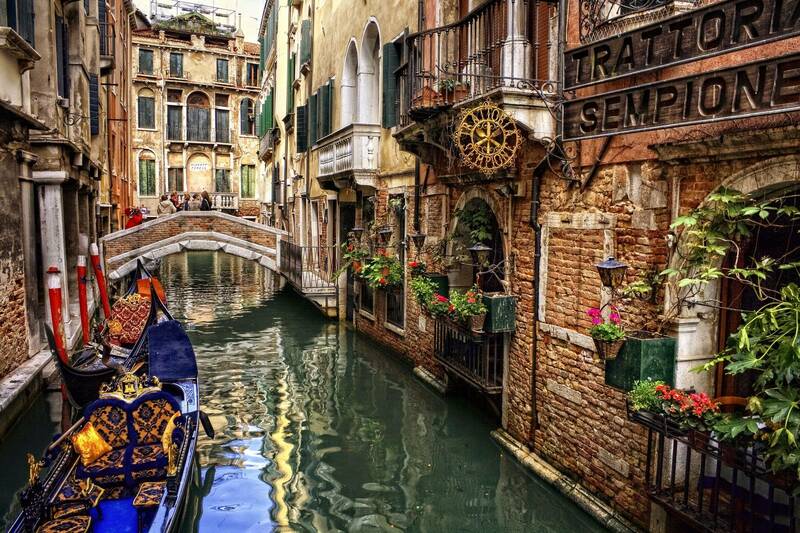 All the more so to see them is very simple – the legendary ship “Burkello” plying between Padua and Venice from April to October, special stops at the most beautiful villas on the Riviera.